Print driver name: RICOH PCL6 UniversalDriver or PCL6 Driver for Universal Print. Print driver name: RICOH PS UniversalDriver or PS Driver for Universal Print. *Instructions should also be applicable to supported printers from: Gestetner, Nashuatec, NRG, Infotec and Lanier. 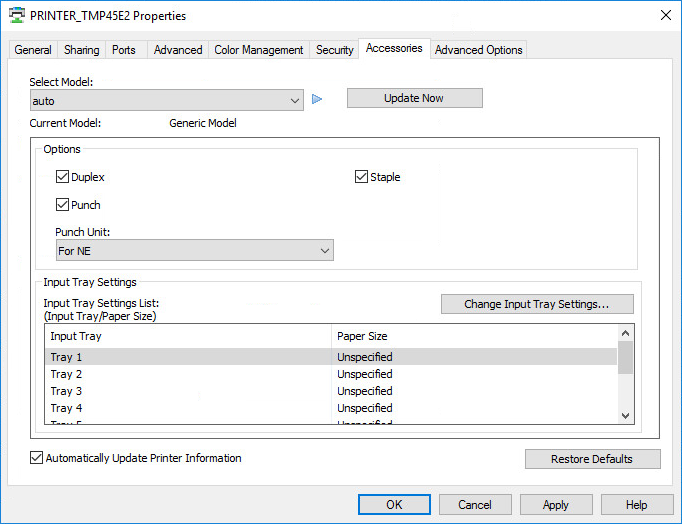 Select language on the Advanced Options tab in the Printer properties dialog. 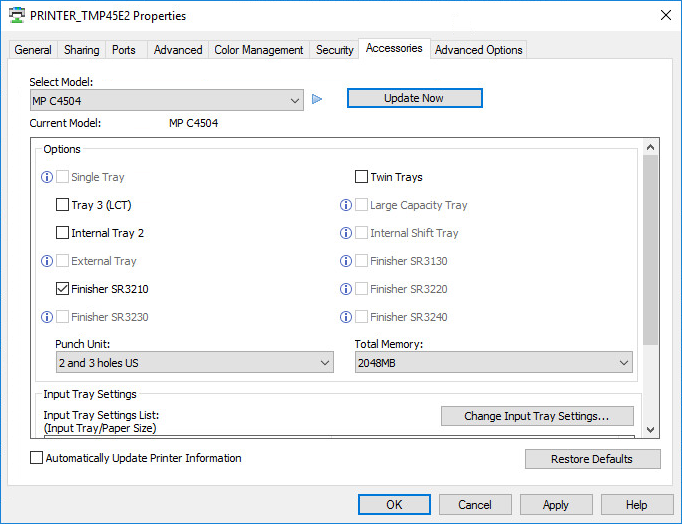 In the Printer properties dialog select the Accessories tab. If Select Model is auto, then select the model. Options and the corresponding Setting. Uncheck Automatically update printer information.